Every day, more and more people are using the Internet — not just for casual informational search, but for socializing, too, paving way to countless social media websites. However, these platforms do not only cater for individuals who are looking to connect with their friends and family. Social media has also become a great asset for businesses to market their brand and services online. Gone are the days when hard-selling through traditional marketing is every business’ weapon of choice. Many businesses, today, have built a name for themselves over Facebook, Linkedin, and other social media sites, and have become very successful. The proliferation of social media opened a new marketing opportunity for businesses — one that is client-centered. 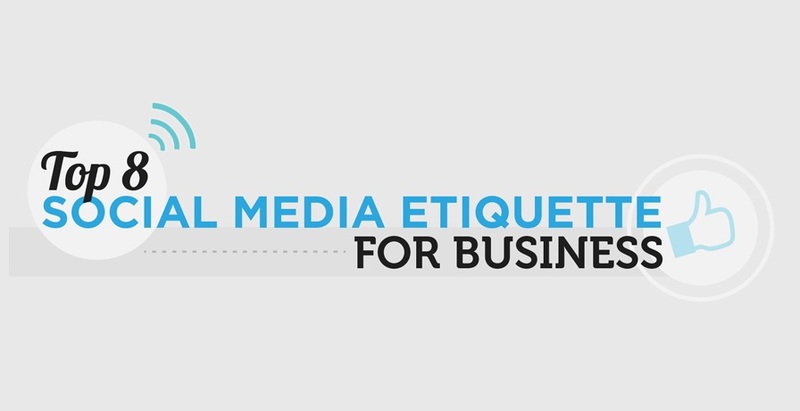 To help form a strong business foundation that will serve your brand as well as your customers, here are the top 8 social media business etiquette to remember.